Why I bother with the World Federation of Methodist and Uniting Church Women! I never expected the amazing experiences I would enjoy when I allowed my name to go forward for the position of Area President for the Britain and Ireland Area of the WFM&UCW. Travelling opportunities yes: to South Africa for the 12th World Assembly, to Basel for a World Executive meeting, to Rome for the Joint European Areas Seminar, and to Melbourne for the next World Executive in July when I guess we shall be planning the 13th World Assembly in Houston, Texas. But it’s not just the travel, exciting though that is. It is the personal contact with women in so many parts of the world, God’s world, (John Wesley’s Parish!) that is an inspiration to me. It’s having opportunities to hear stories of bravery and determination, as we did in Johannesburg, from real women I could see and touch and eat meals with and ask questions of and pray with and take photos of. 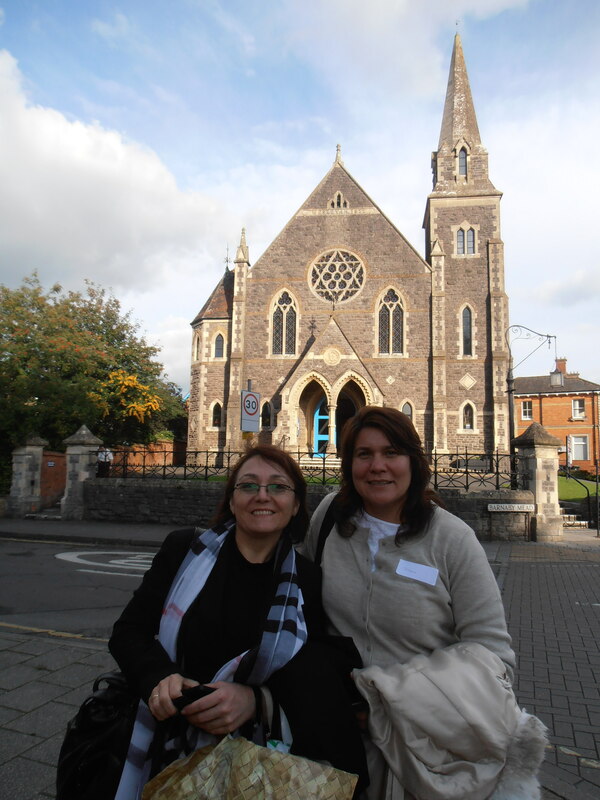 It’s meeting women like Marianne and Dessie from Bulgaria who came to the Southampton District last October and shared their faith stories with us. Having the privilege of planning the Joint Area Seminar in Italy with sisters from Ireland, Bulgaria, Sweden and Italy is awesome. To pray for sisters in Ukraine, knowing that two of them are hoping to come to Rome for the Seminar this Pentecost, and wondering whether they will get the necessary visas. Knowing that women around Britain are raising £10,000 so that women from smaller Units have a chance to come to Pomezia for this event (and that women in USA are helping pay travel expenses). Unit Presidents will attend the Weaving Together Programme (prior to the Seminar), which will encourage and equip them to continue the development of women’s lay ministry in their own countries. The knowledge that through the World Federation, we have a voice at UN level at the Economic Social Council ECOSOC, through our representative Brenda Smith in New York; knowing that through the work of Methodist and Uniting Church Women towards achieving the MDGs* we are step by step making a positive difference in the world. Reading about this work in the pages of the quarterly Tree of Life newsletter and on the website http://www.mwib.org.uk . This year we are celebrating 75 years since Helen Kim, a young Korean woman, founded the movement first known as the Word Federation of Methodist Women. There have been 75 years of stories of women making a difference. Bringing healing and new hope to their communities. That’s worth bothering about! *The United Nations Millennium Development Goals.